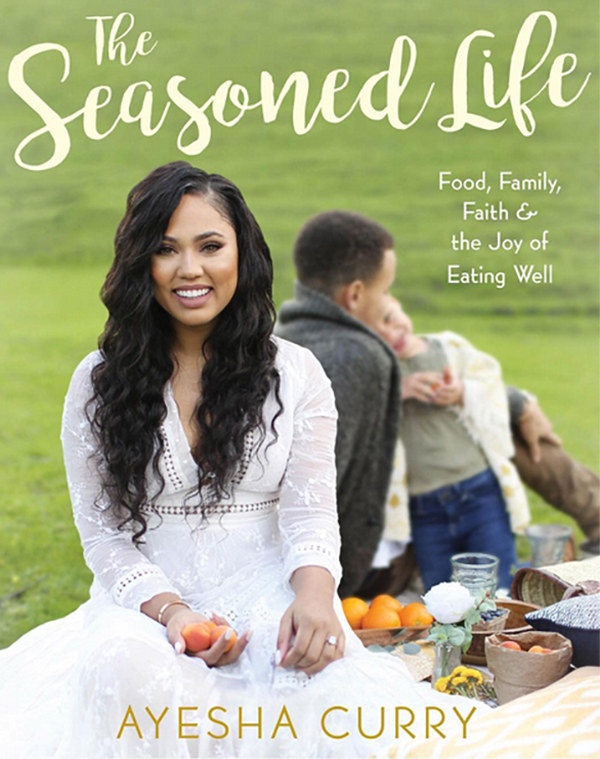 On the front cover of Ayesha Curry’s new cookbook, The Seasoned Life: Food, Family, Faith, and The Joy of Eating Well, Ayesha smiles beatifically at the camera, dressed in a white lace dress, two peaches nestled in her right hand. Out of focus, but next to her on a shared picnic blanket sits her husband, Steph Curry, the two-time MVP point guard for the Golden State Warriors. 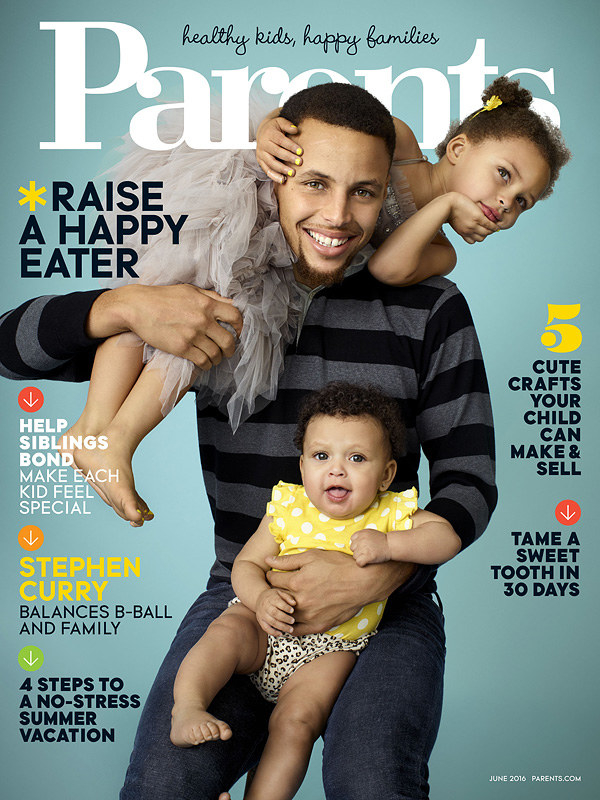 Wearing a gray cardigan, he’s looking away from the camera, as their daughter Riley, 3, leans against him, smiling. The photo perfectly encapsulates the Curry family brand: happy, tight-knit, and photogenic, projecting a well-crafted approachability. The Currys have become exemplars of an innocuous, extremely marketable family — close-knit, attractive, Christian, and charming with a tendency towards corniness. But their popularity has proven controversial. Twitter memes have positioned Ayesha as the “good foil” to various black female celebrities’ slutty vixens, while Steph has been praised for his faith and lack of ostentatiousness as though such attributes were sui generis in the NBA. Their ascent as the Good Black Family has been fueled in part by overly generalized ideas about who gets to be considered decent or good, occasionally at the expense of an implied darker (sometimes quite literally) Other. Their media appearances in genteel, upper-class publications that don’t normally cover black athletes’ families is indicative of this framing. And while it’s undeniably lucrative, such a standard is impossible to maintain. Any family would buckle under such pressures — and so, the cracks in the Currys’ image have begun to show. Before they were a “pretty, picturesque, All-American family,” Steph and Ayesha were two teenagers who attended the same church youth group in Charlotte, North Carolina, though they didn’t date at the time. (“I wasn't allowed to date in high school. 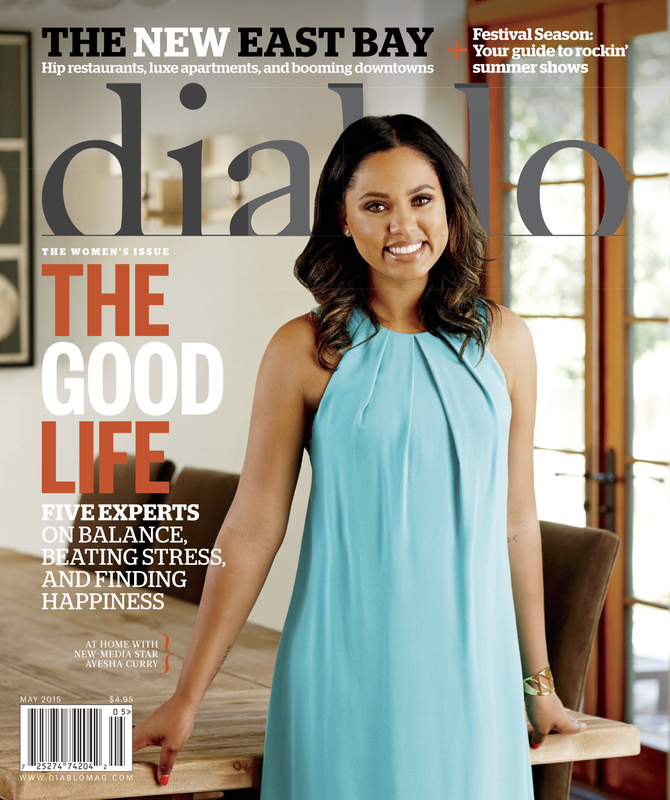 We always laugh that we were both focused on God,“ Ayesha told Parents magazine in June). They reconnected, as millennials do, on Facebook in 2008. Steph, by then a rising junior at Davidson College and a basketball phenom who had broken NCAA records, went to Los Angeles to attend the ESPY Awards. He sent a Facebook message to Ayesha, then 19 and also living in LA trying to jump-start an acting career. After “an admittedly ‘cheesy’ first date where they drank chai tea lattes [and] took pictures with Marilyn Monroe impersonators,” they began dating in earnest. In 2009, Steph joined the Golden State Warriors team in Oakland and in 2011, the couple got married. Despite Steph’s height, (he’s only 6’3’’), he became a lethal shooting threat until various injuries threatened to derail his career. That changed during the 2014–15 season. Former player and NBA analyst Steve Kerr replaced Mark Jackson as the Warriors’ head coach, and brought a faster pace and space method that allowed a team of talented shooters, specifically Steph, ample freedom to create shots. Steph thrived during this period: breaking his own league record of 3-pointers in a season, becoming the NBA’s MVP, and leading the Warriors to their first championship in 40 years. The Washington Post heralded him as “The Sports Figure of the Year”, FiveThirtyEight called him “The Revolution,” and Grantland writer Brian Phillips referred to Curry as “a demigod hanging with Olympians.” Steph was without question a superstar, moving into rarefied territory, his skills being compared to the likes of Michael Jordan, Magic Johnson, and the reigning king, LeBron James. But it was his daughter Riley who took Steph to the next level of stardom. Whatever fame the Curry name had amassed came primarily from Steph’s spectacular 2015 season and his father Dell’s success as a Charlotte Hornets shooting guard in the late ’80s and ’90s. But during the Western Conference Finals in May 2015, Steph brought Riley to his postgame press conference, where she interrupted his routine answers to uninspired sportswriter questions by loudly yawning, talking over him, laughing at him, waving at people in the audience, walking around the table, and just generally being adorable. A photo of Riley Curry speaking into her father’s mic quickly turned into a meme and Riley became an internet sensation. Her performance gave much-needed personality to Steph, an excellent player but otherwise bland public figure who lacked the eccentricity of past famous ballers such as Charles Barkley or Dennis Rodman. During the NBA finals, Riley made a second press conference appearance, just as much of a spectacle as the first. She sparked controversy among the sportswriting community tasked with getting quotes from players about the night’s game and not particularly moved by the antics of a 2-year-old. (Former First Take pundit Skip Bayless even called for a ban on children at NBA press conferences.) The complaints were so incessant that Ayesha wrote an open letter in Time magazine, defending her daughter: “I believe you should let your children be children, and don’t be afraid to be a parent, regardless of who’s watching.” The letter was well received and introduced Ayesha as a voice demanding to be heard. Though Ayesha had been uploading cooking videos to her YouTube channel since the spring of 2014, they hadn’t done much to establish her as a public figure. (The channel’s biggest hit before Riley’s breakout moment was of Ayesha and Steph performing their own remix of Drake’s “0 to 100.”) Most of the videos were innocuous, featuring Ayesha making dishes like crepes or bananas Foster as Riley (and occasionally Steph) mugged for the camera. But in their banality, they offered an appealing glimpse of the Currys as an aspirational but (crucially) relatable family. Riley’s star turn only made the family unit more attractive. While precocious kids in the NBA are nothing new (see Chris Paul’s son in 2012), historically, the families of celebrity athletes have only ever been thrust into the spotlight when one of the brood attempts to follow in the footsteps of their famous parent. Nobody wrote about Michael Jordan’s kids until his sons, Jeffrey and Marcus, began playing ball in high school and the expectation of living up to their father became a story. You know about Laila Ali because she went into boxing, like her dad. The Currys break with this tradition. In some ways, the public’s narrative around them evokes the wholesomeness and relatability of a sitcom family, from the Huxtables (Riley as Raven-Symoné’s character Olivia, of course) to the Johnsons on ABC’s Black-ish. It’s a narrative that’s been driven largely by the media coverage surrounding the Currys, Steph in particular. In a June 2015 Sporting News roundtable with sportswriters who had written about Steph for various publications, journalist Cory Collins commented: “...everybody just talks about Steph Curry as the second coming of the Messiah, where he's just this perfect person on and off the court. In some ways it's really nice. It's nice to see that there's a humble athlete.” The implication in such a comment, of course, is that humble athletes are a rarity. Becoming a paid brand ambassador has never sounded more like a noble cause. The Currys were the American dream incarnate. If you worked hard, stayed humble, followed God, you too could have a beautiful family, a large house, and public accolades. The Currys were the American dream incarnate. Such wholesomeness paid off quite literally, in the form of endorsements. According to a Forbes list this past February, Steph earned $12 million in endorsement deals alone (well behind LeBron, who made $48 million in off-court earnings, but among the top 10 in the league). He and Ayesha were already spokespeople for the healthcare company Kaiser Permanente (they both starred in short YouTube videos for it) but after the championship, they became even more visible for the campaign, appearing in a nationwide commercial. Steph had also already signed to Under Armour in 2013 for $4 million a year, but after his dominant 2015 season, the company had a huge spike in sales of his Curry-brand shoes — and Steph acquired an equity stake and royalty earnings. There’s StephMoji, Steph’s own emoji app, and his partnership with CoachUp, a private personal sports training program. Ayesha’s own Little Lights of Mine brand has extended beyond her “Cooking with the Currys” YouTube videos and into recipes, olive oil, DIY body products, and aprons. Riley even appeared in an ad campaign for the children’s apparel company Freshly Picked. Their endorsements — health care, shoes, kitchen items — served as a feedback loop, bolstering their public image as wholesome, benign, and family-oriented. Meanwhile in popular culture, they posted videos of themselves dancing the Nae Nae, gallivanting to Drake, going horseback riding with Riley and lip-synching to songs from Frozen or Minions. They danced with Michelle Obama. All of this served to endear themselves to the American public. Steph and Ayesha Curry doing the cooking dance in 2014. The tone of the tweets were interpreted by some as judgmental about how women are supposed to behave: “Be secure enough bigging up your own style, without inadvertently passing judgment on those who don’t rock like you,” wrote Diana Ozemebhoya Eromosele in The Root. The tweets also provided fodder for a subsection of crass, patriarchal trolls. Memes that superimposed shaming commentary like “all my children have the same father!” over stills from her cooking show began to proliferate. On Twitter and Instagram, users trumpeted Ayesha as a “respectable alternative” to celebrities like Kim Kardashian and Cardi B. Though she gave an interview to Essence magazine a few months later, denouncing the memes (“I have a feeling whoever is making them is mostly men trying to pin women against each other, and that's something I don't stand for especially with us Black women.”), the controversy had already been stoked. Ayesha had officially become a cultural lightning rod. Compounding this tension is the fact that the Warriors are planning on moving from their current home stadium, the Oracle Arena in Oakland (still a cultural marker of blackness in the Bay Area), to a new state-of-the-art stadium in San Francisco, a city that has been hemorrhaging black residents. It has been a source of controversy for months, and a sore spot for die-hard Oakland fans who supported the team when it wasn’t winning championships. Curry, as the face of the Warriors, is implicated in such dealings, fairly or not. It certainly didn’t help that white sportswriters continued to fawn over Steph. Bleacher Report’s Michael Kruse called him the NBA’s “most beloved superstar.” On SB Nation, the writer FreeDarko raved about Curry’s celebratory shimmies and stare-downs of his opponents, calling them an affirmation of his faith, even though so many other players throughout history, from Charles Barkley to Dwight Howard to LeBron James, have been called egotistical or immature for similar behavior. The implicit claim? Steph Curry was the Good Black athlete. To be the Good Black Family is to be subject to the pressures and whims of a fickle American public. A brand built on seeming perfection is a flimsy one. Any slight cracks in that facade work against you. As Steph endured his own criticism, Ayesha continued attracting some of her own. After game 6 of the 2016 NBA Finals, when the Cavaliers pulled out a win against the Warriors, Ayesha took to Twitter to make her dismay known, claiming that the NBA is “rigged for money.” Ayesha’s tweet went viral, instantly causing another storm of jokes and memes about Ayesha Curry, this time as an NBA truther. Ayesha was supposed to the “Sports Wife,” sparingly seen and seldom heard. On ESPN’s First Take, Stephen A. Smith decried her outbursts as her stepping “out of pocket” and insinuated she should behave more like LeBron’s wife, Savannah Brinson, and keep quiet, a gross throwback to antiquated gender roles. Her tweet happened on the same night Steph had his own mini meltdown. After getting a sixth foul and automatic ejection from the game, he angrily hurled a mouthpiece at a fan. The pushback is only proof of the precariousness of the Currys’ position. To be the Good Black Family is to be subject to the pressures and whims of a fickle American public. It’s also an impossibility. The Good Black Family, like the Huxtables, like the Johnsons, even like the Obamas as they are portrayed in pop culture, doesn’t really exist. Any display of normal human emotion — anger, defensiveness, sadness — immediately dismantles the illusion. The way the Currys have been publicly positioned only proves this point. America wants the Good Black Family to thrive, because it says something about those values America holds dear: hard work, faith, perseverance, an endearing underdog story. The Good Black Family suggests that discrimination can be overcome. But that’s just not true, and framing the Currys as the antidote, particularly if they’re constantly, implicitly pitted against other black celebrities, only sets them up for failure. Since the end of the NBA finals, the Currys have kept a relatively low profile. This will probably change as the 2016–17 season kicks off later this month, and Ayesha preps for her Food Channel TV show, Ayesha’s Homemade, which debuts on October 22. As a new round of public scrutiny inevitably awaits them, the hope is that they will be able to transcend the confines of the Good Black Family archetype and be seen as real, fallible human beings. One thing is for sure, though — everybody always loves a comeback story. Israel Daramola is a writer living in Washington, D.C.. He has written for Pitchfork, The Fader, Noisey and Spin magazine. Contact Israel Daramola at iodaramola@gmail.com.